There are billions of blogs and websites on the world wide web. For that reason, your chances of becoming number 1 are about as unlikely as winning the lottery. Still, that does not mean that you should avoid an online presence as part of your author platform. Social media for nonfiction authors can provide a valuable outlet for networking and getting the word out about you and your books. The reality is that many nonfiction authors are subject matter experts and know how to effectively conduct research and put out valuable how to or informative products. They are also often introverts. The idea of getting in front of a group for a presentation, asking someone to buy their book or attending a networking function sends chills trough them. That is the beauty of using social media for nonfiction authors. It provides a platform on which they can do what they do best…write. It also provides potential connections to potential readers and customers from around the world from the comfort of their own office or home. By setting up a blog or website and becoming active on social media platforms, you have a vehicle to communicate with the world. The key is not to go overboard in your efforts. As you may have heard before, you cannot do it all. Choose one or two platforms that you like and start slowly. You can grow your audience. By regularly visiting social media sites and posting information, you can become a known entity. This exposure is paramount in building your personal and professional persona. As I often tell attendees at my author and self-publishing presentations and workshops, “You might be the best author in the world but if no one knows you exist, or what you write, you will never sell books.” Social media is all about networking and sharing. Take advantage of this free promotional tool. You can learn about potential readers and customers. From time to time, you might offer simple questionnaires or surveys through sites like Survey Monkey. This process can help you identify who your readers are, the types of things they want to read, their interests and other crucial areas that you can address in articles or books. You can expand your knowledge. There is a wealth of information available on topics like nonfiction writing, publishing, book design and related topics. You can also identify useful resources that can help in designing, developing, producing, publishing, and marketing your book(s). Additionally, you can find associations, writer and publisher organizations, webinars, podcasts, videos, books and a multitude of other helpful resources. You can gain exposure for your products and services. By sharing information about your books, products and services in a subtle manner (e.g. an occasional link to your website or book sales site), you can increase the possibility of sales. Just do not make the mistake of many social media novices by immediately starting to pitch things that you offer. Like any relationship and sales situation, people have to get to know and trust you before they buy into what you are saying or offering. For example, do not join Twitter or Facebook and immediately start posting listings about your latest books or presentations. That will turn people off and, depending on the platform, can also get you kicked off the site. Know the rules of the site and the social media game before you get involved. You can establish yourself as a subject matter expert. The Internet is a powerful and fruitful source of information on virtually every topic. Stake your claim to a portion of that territory. By using social media for nonfiction authors you can demonstrate that you have something important to say. You can also show value to readers. As your voice becomes heard and your audience grows, you can possibly expand to other media platforms. You can grow your business. Whether you realize it or not, you have already started a business when you write your first book. From that point on, you are in typically involved in business functions, such as, marketing, publicity, sales and distribution. To capitalize and grow your business, consider starting your own blog In conjunction with the social media platforms, you should consider starting your own blog. That will allow you to use social media posts to drive visitors to your blog where you can offer them an incentive (e.g. free report, white paper, template, eBook, opportunity to enter into a drawing for a gift card ort free book/item or something else of value). This builds your mailing list so that you can send out tips, newsletters, or information about upcoming presentations, books or products that you plan to offer. The reality related to social media for nonfiction authors is that successful writers tap these unlimited resources to get better and hone their craft. Search this blog for additional ideas on ways to create an action plan for building your own author platform and improving yourself and the books and products you produce. 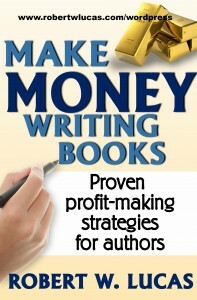 For strategies on how to maximize your sales though an effective author platform, check out Make Money Writing Books: Proven Profit Making Strategies for Authors. 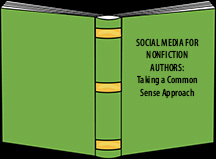 This entry was posted in nonfiction book writing, Social media, social media book marketing, Success tips for authors and tagged selling more nonfiction books with social media, should nonfriction authors use social media, social media for nonfiction authors. Bookmark the permalink.